This photo was the one of the best I took today. 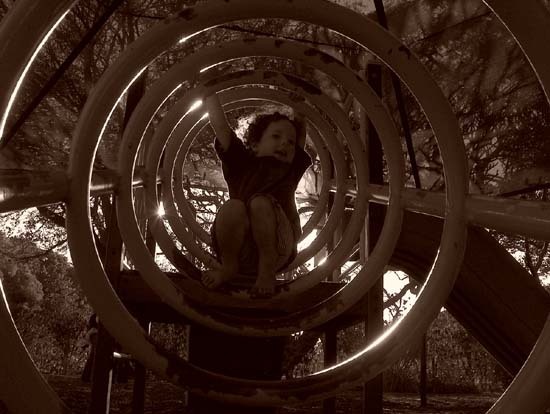 The setting sun was right behind Erin as she started to come down the climbing frame tunnel. I was lying on the ground taking photo after photo of her playing and in this one I got the exposure just right. I had the sepia option turned on because of the colour of the sunlight.